Cheese is one of the healthiest foods that nutritionists recommend to include in the diet a few times a week. It contains large amounts of casein protein, many minerals and vitamins. However, all the beneficial properties of cheese can be crossed out it expired. Fresh low-fat cottage cheese has a uniform white color and a product with a high content of fat can cast a barely visible yellowish-cream shade. A more intense yellow color is a sign that the cheese has started to deteriorate. Well, the product with dark spots or mold should be immediately disposed of in the trash. To know sour curd is a heterogeneous texture. Some lumps can be slightly stubborn, others with a certain amount of mucus. This can occur as a consequence of the prolonged or improper storage, however, in any case, there is such a product, particularly fresh, not worth it. 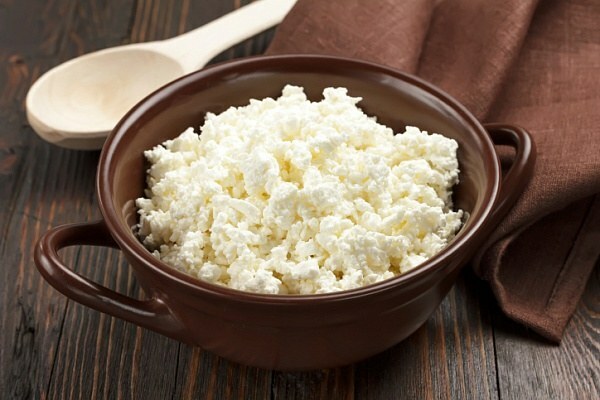 Especially need to be careful when buying cottage cheese, since it is not specified shelf life. And, of course, the most obvious signs, which can determine the missing cheese, are smell and taste. Fresh cheese will be nice to smell like milk and have a light acidity on the palate. A defective product will give a strong sour and bitter taste and an unpleasant musty smell. Cheese should not be stored more than three days. It is desirable to keep it in the refrigerator in a sealed glass jar in a cool environment and without oxygen, lactic acid bacteria multiply actively. Cottage cheese with expired or sour as a result of improper storage to eat is not recommended. Missing dairy product always accumulates a lot of harmful bacteria, which get into the intestine, can harm health. At best, consumption of spoiled cheese can lead to malfunction of the gastrointestinal tract and mild diarrhea. In the worst – poisoning of the body. In the latter case may need hospitalization and have for a long time to restore the normal microflora of the intestine. It is especially dangerous to give sour curd small children, the body which are more sensitive to spoiled food. The curd which is not sour, but not very fresh, drink raw is not recommended. But to throw it out yet. Of such product, for example, you can cook delicious casseroles, soft cheese cakes, pies, sweet curd cakes or dumplings. Cooked, stale cheese will not cause harm to the body, and many of the dishes he will make even more delicious, as the cheese will give them a light acidity.